“Every hundred years, Buddhist students could undergo a ceremony in order to attain enlightenment. Those students had to pass a test consisting of walking through the room of a 1000 demons: an empty dark room guarded by 2 guardians. As we look through the images, we walk through the tale; we meet the young-looking but confident warrior, the imposing guardians and a collection of strange and colorful demons, alive with movement. And in the end, the warrior breaks free and returns to the world enlightened. Shot in Nepal, Fieni first came to the region through his career as an art restorer. Since that initial trip he has frequently returned, working on the restoration of ancient art work in a variety of locales in Asia and teaching locals the craft of art restoration. With his background in painting, Fieni is specially skilled in reproducing a variety of styles and techniques with a paint brush, and that ability that makes him especially well suited to restoration, but that also comes through in his photographic images. Fieni's mastery of these skills is evident in his photography. 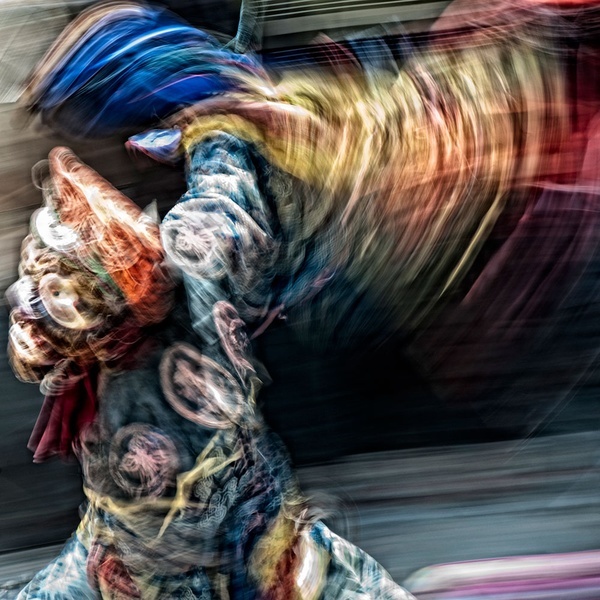 Photographing using a low shutter speed, Fieni rotates, zooms and pans his camera while shooting, capturing an image, but also streaks of color and light -- motion blurs that give the images an otherworldly feel. The effect is exceptionally painterly -- the strokes of light enhancing the tone and timbre of the images. They are almost impressionistic under the painterly definition, with their fine but visible strokes, and focus on light and movement. "As my background is mostly painting, my work is constantly trying to merge photography with painting, trying to produce photographs that are as pictorial as possible: my personal view of things," says Fieni. That personal view is certainly full of magical beauty. 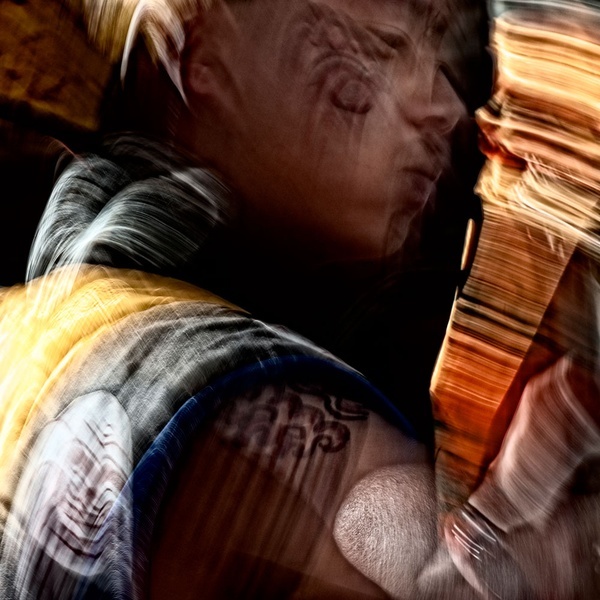 See Luigi Fieni's portfolio The Room of 1000 Demons on the Photographer's Showcase here.